As touring acts grow weary from their travels across the US of A, Moog has a spot for them to get re-energized. Inside the synth maker's North Carolina headquarters sits a room that's decked out with the company's analog tech and effects (including a Model 15 synthesizer) -- waiting for musicians who are on the road to stop by for a visit. It's here in the Sound Lab where the likes of Mutemath, Phantogram, OK Go and Ra Ra Riot grab their Moog gear of choice to re-imagine some of their existing tracks. For a look at all of the sound-scaping tools on display, mosey into the gallery below for a virtual visit. 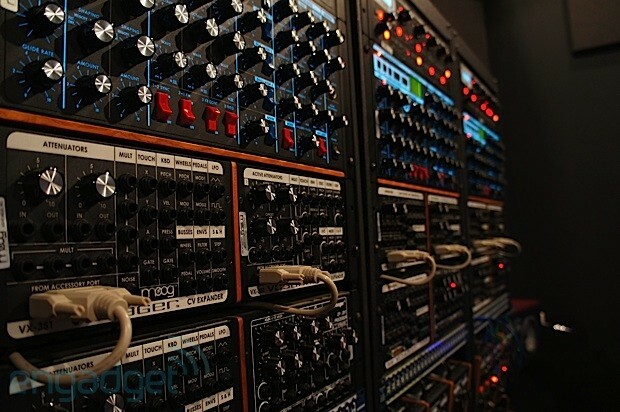 Visualized: Inside Moog's Sound Lab originally appeared on Engadget on Fri, 26 Oct 2012 14:56:00 EDT. Please see our terms for use of feeds.